The Government’s South East Flexible Ticketing (SEFT) programme overspent its initial budget by £9m but failed to deliver its original ambition, according to a report by the National Audit Office (NAO). The NAO sets out how ministers repeatedly reduced the scope of the failing rail ticketing scheme while proclaiming its success. 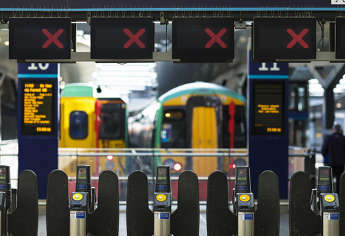 It also reveals that the costs could outweigh the benefits by as much as five to one and nowhere near as many people have taken up the smartcard ticketing as hoped. The NAO investigation was carried out after the Campaign for Better Transport (CfBT) raised concerns about SEFT with MPs. CfBT called it a 'savage indictment of the Government's failure on smart ticketing’. Lianna Etkind of CfBT said: ‘Delivering smart ticketing was a 2015 manifesto commitment. Passengers will be incensed that the Government has comprehensively failed to deliver on this, despite squandering tens of millions of taxpayers' money. The report sets out how the SEFT programme, which officially closed this month, only enabled the introduction of one flexible, part-time season ticket against an original aim of making discounted, part-time season tickets available by 2014 on 11 franchises running services into London. Under the programme another four franchises offer season tickets on smartcards. One of the criticisms of SEFT has been that in the majority of cases it has merely replaced paper tickets with plastic ones, with no added flexibility or discounts. The report also reveals that the DfT spent £54m on the programme, compared to the original budget of £45m, of which £26m (44%) was spent on its and the Rail Delivery Group's (RDG) ‘management of the delivery of the programme’. The cash also paid for a central back office that has now been handed over to the RDG, which represents train operators and Network Rail. According to the report, this system is currently using around 5% of its capacity. The report discloses that, although some smartcards were developed without using the SEFT back office, three of the five companies are now using it. However, these smartcards do not offer interoperability between companies – once put forward as a key benefit from the programme. The NAO reveals that the SEFT programme was paused three times and reset twice, with its scope reduced and budget revised each time. In April 2016 the then rail minister, Claire Perry, agreed to reduce the scope of the programme to ‘deliver existing commitments only as agreed with three train operating companies using the central back office’, with a new budget of £60m and a benefit-cost ratio of 0.21:1, meaning that its cost was five times its benefit. That same month, Ms Perry helped launch a SEFT-based smartcard on Abellio Greater Anglia services. She hailed the smartcard, which did not provide discounts or interoperability, as ‘a major milestone in the development of smart ticketing’. The NAO report discloses that between 2016, when it was first asked to investigate SEFT, and February 2017, the DfT increased sevenfold its own assessment of the expected benefit-cost ratio of the programme. The revised benefit to cost ratio is 1.44:1, which, according to the DfT’s own measures, represents ‘low’ value for money. This analysis assumes that 80% of season ticket holders will use smartcards and that the option to hold single and return tickets on smartcards is introduced. However, the NAO report states that latest data shows that only 8% of all season ticket sales in the 12 months up to March 2017 on participating train operating companies were on smartcards. The DfT’s 2014 business case depended on eventually achieving 95% of take-up of smart season tickets. A DfT spokesperson claimed that the programme ‘means more than 400,000 season ticket holders now have access to paperless season tickets’.